5 weeks of waiting is finally over! 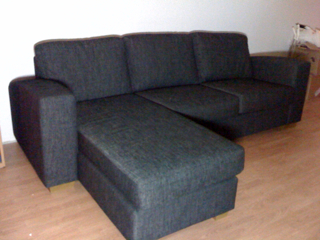 This evening we got our new sofa! My dad helped Mathias with picking it up at the store. They have a trailer at my dads work which they can borrow for personal use so it worked out well with picking it up instead of paying extra to get it delivered. This weekend when I went to Ikea with my parents I bought a vase so I quickly bought some tulips for it. I love tulips! They make it feel like spring time. 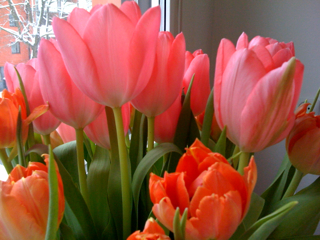 They got a tulip show in Stockholm right now and we’ll go there this weekend with my parents. I told my mom about it when I first read about it earlier this year and now it’s finally time to go. The close later in March so it’s kind now or never. I’m looking forward to see all tulips and I’ll be sure to bring my camera so Ivan take lots of pictures. I’m sure my vase on the kitchen table will be nothing to what the show will offer!